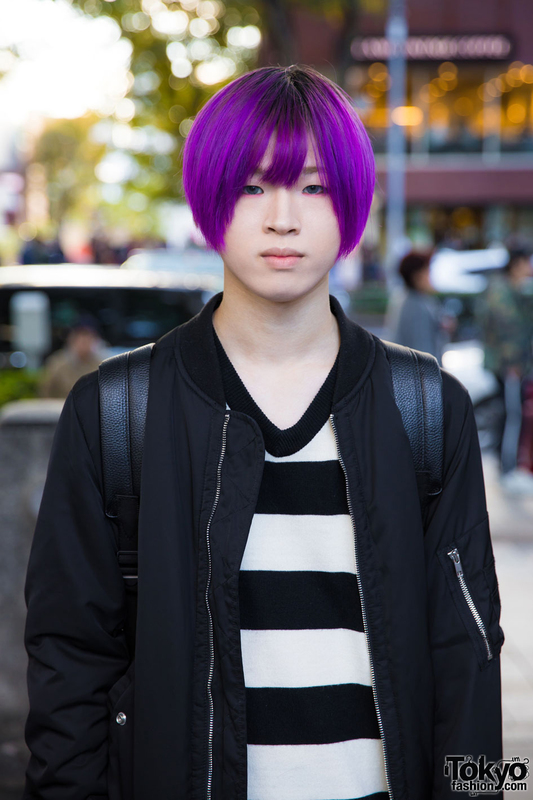 While walking along the busy street in Harajuku, we met Souma, a 17-year-old student who caught our attention with his purple hair and monochrome fashion. 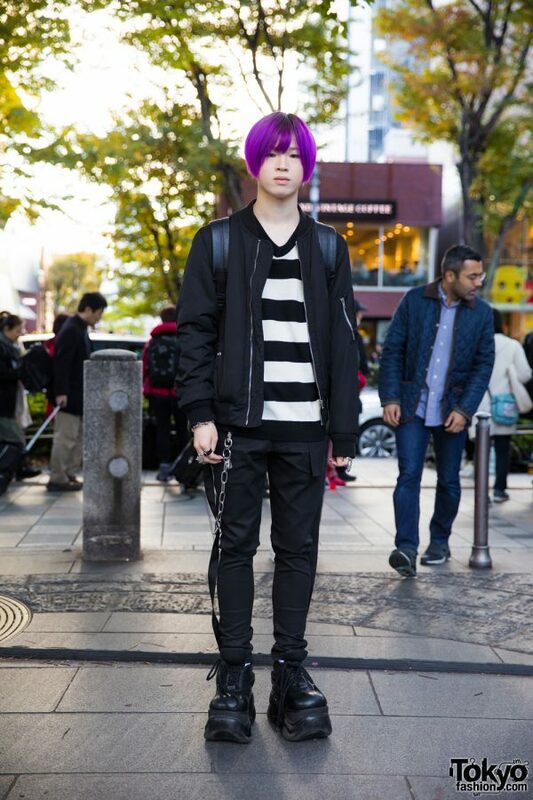 Souma is wearing a black WEGO zipper jacket over a black and white striped shirt from Uniqlo, skinny pants from Legenda, platform lace up shoes from Demonia, and a black backpack from Nyulycadelic. 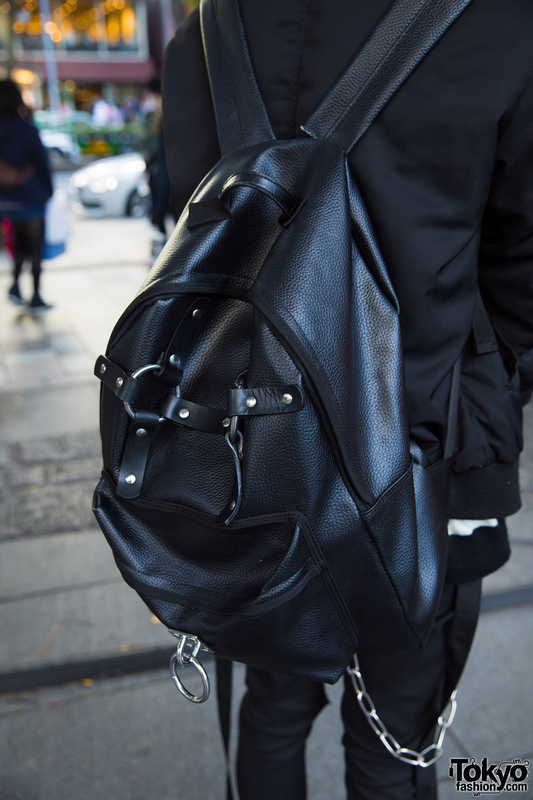 His accessories – from Nyulycadelic, Vivienne Westwood, and Alice Black – include a barbwire bracelet, an armor ring, a connecting ring, a belt and knuckle ring, and a silver chain. 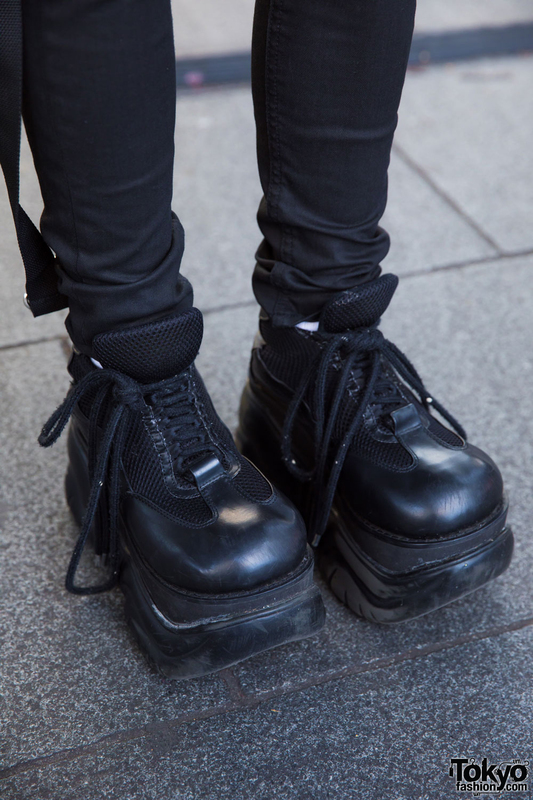 Souma’s favorite brand is Never Mind the XU. 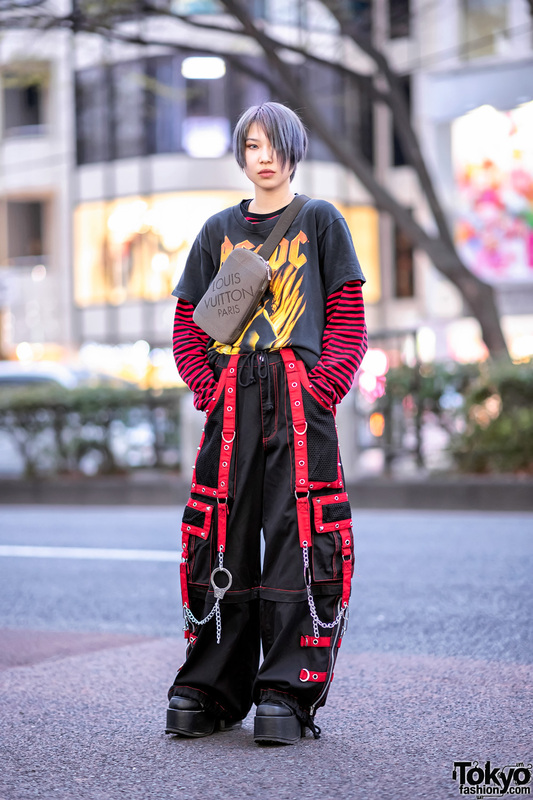 For his social media updates, follow Souma on Twitter and Instagram.